Our March/April issue has plenty of ideas and inspiration to make your 2019 garden the best ever. For spring color and year-round foliage interest, rhododendrons are unrivaled. One of Minnesota's top breeders of rhododendrons highlights new varieties and how to grow them in northern climates. We profile a young gardener who has turned her love of flowers into a business, creating bountiful bouquets for weddings and other events. 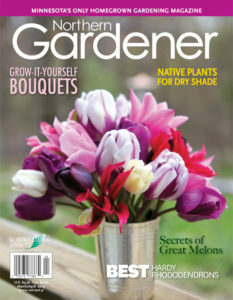 Plus, check out our article on how to grow your own cutting garden, even in a 4-by-4 foot space. Is any situation tougher than dry shade? 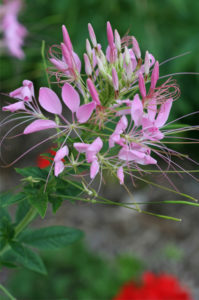 We have suggestions for native plants that will thrive and look beautiful in your most inhospitable spot. Judy Weirwehn is a native of England and has created a garden reminiscent of her home country in St. Paul. Learn her techniques for creating a very British landscape in the North. Get creative with your annual choices this year, and add some unusual, impressive and long-lasting blooms to your garden. If you are tight for space in your garden, consider growing up. Trellises and other vertical features add height to the garden and increase your growing space. The entire archive of MSHS publications from 2013 going back to 1866 has been digitized and is available online as part of the Minnesota Reflections database, a collection of original materials shared by cultural heritage organizations throughout Minnesota. Minnesota Reflections is the premier project of the Minnesota Digital Library. You can browse Minnesota Reflections by contributing organization, and once in the MSHS collection, you can search the archive by key word. Contact Tom McKusick, Publisher and Advertising Sales: tmckusick@northerngardener.org. Or Mary Lahr Schier, Editor: mary@maryschier.com.